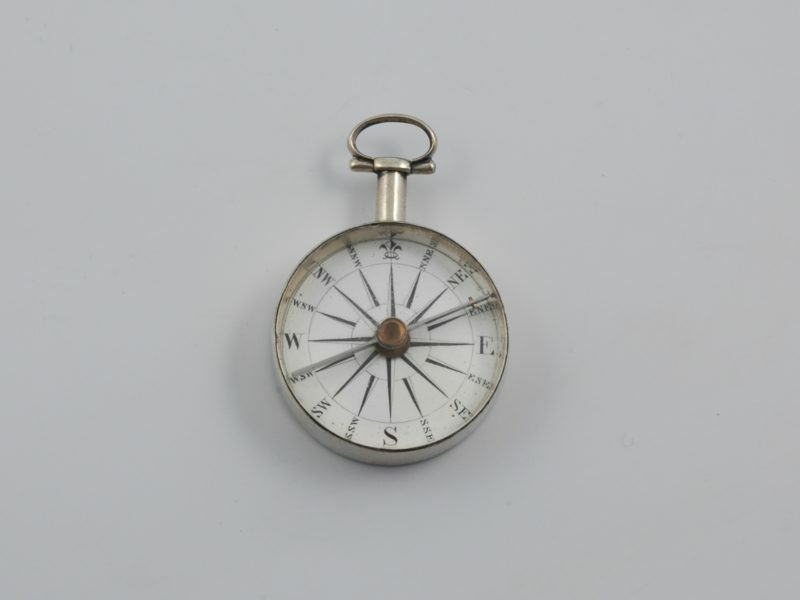 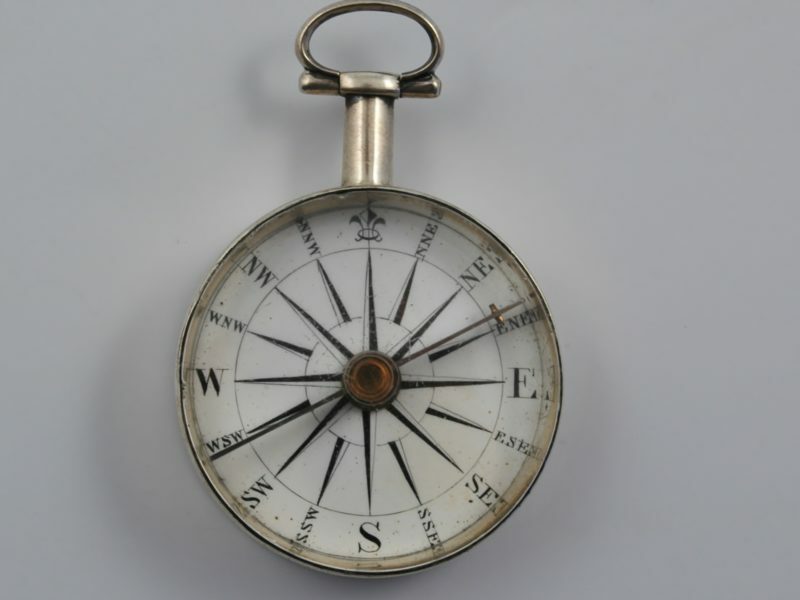 Georgian silver compass, circa 1820 with important later inscription. 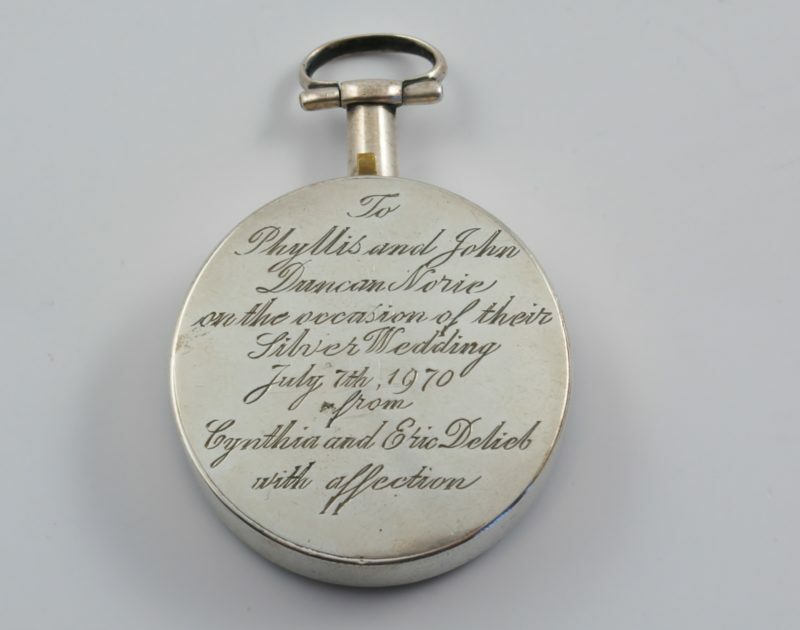 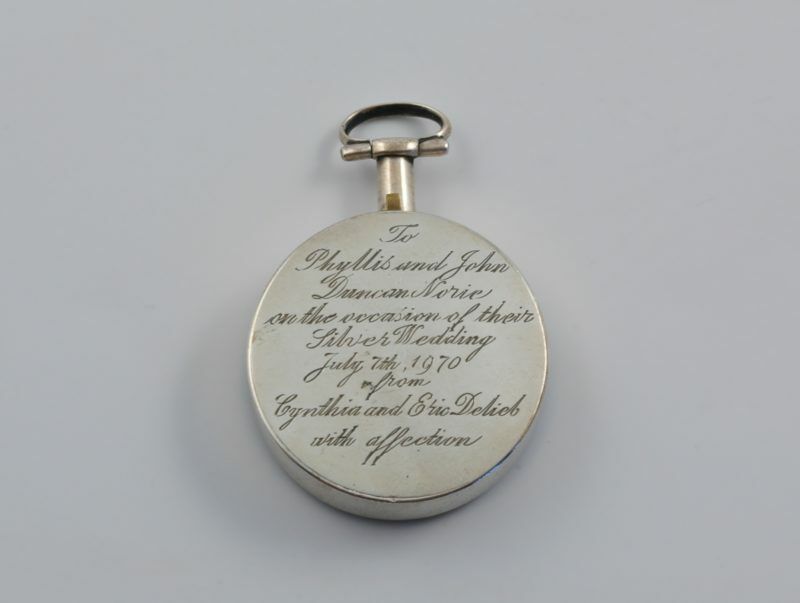 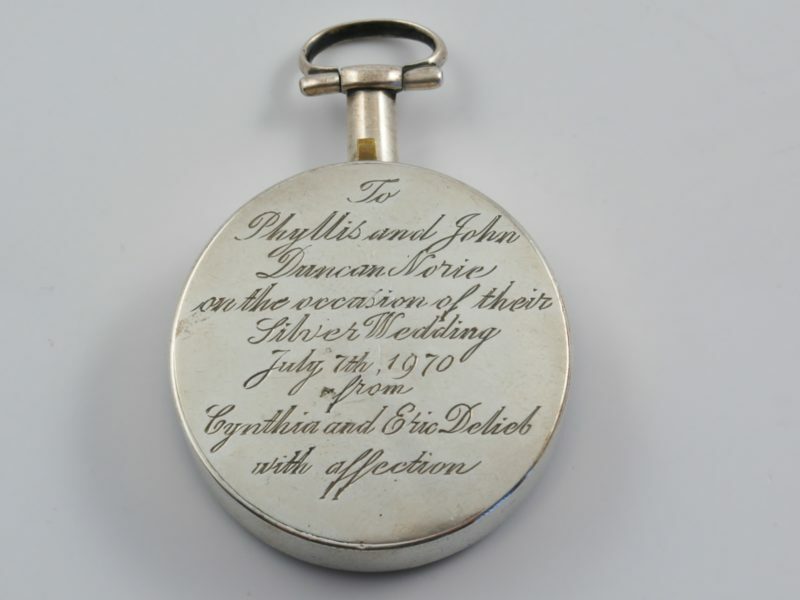 “To Phyllis and John Duncan Norrie on the occasion of their Silver Wedding July 7th 1970 from Cynthia and Eric Delieb with affection”. 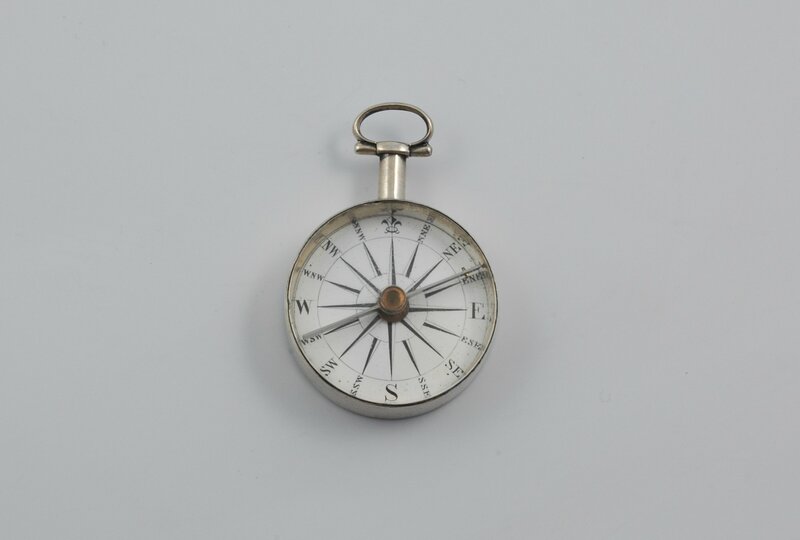 Dimensions: 5,4 cm tall by 3,7 cm diameter by 1 cm thick.